The rapper is bringing his act to The Last Frontier. Pitbull has received a “Call of the Wild” and appears headed to a remote Alaska town in the wake of a successful online campaign. Kodiak, a town with a population of about 6,000 people, garnered more than 70,000 “likes.” That was thanks to the Twitter campaign #ExilePitbull started by David Thorpe, a writer for The Boston Phoenix. “With the help of some friends on Twitter, including the incomparable @fart (fellow SomethingAwful.com writer Jon Hendren), I started a campaign to exile Pitbull to the Wal-Mart on Kodiak Island, an icy, bear-infested locale just south of Alaska,” Thorpe wrote a week ago. Thorpe told The Associated Press he will “very likely” be in Kodiak with Pitbull if he raises his own funds, “since Pitbull's invitation doesn't include actually getting me there." 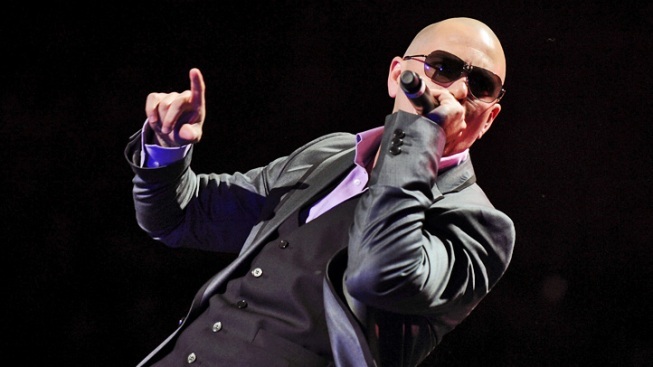 Aside from performing, Pitbull will also spend time with the people of the small town, a Wal-Mart spokeswoman told the AP. It will be the singer’s first trip to Alaska.